It seems that the Hashie cloud mining service is now back online and fully functioning, however the way they handled the recent problems they’ve had (apparently getting hacked and Bitcoins stolen) is far from good. 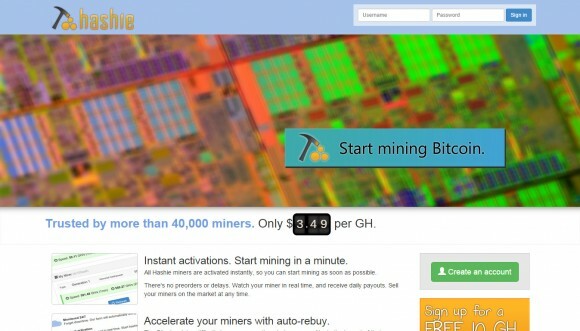 The service is back online, but any Bitcoins you might have had in your wallet are no longer available and the service apparently is now offering new cheaper miners called Generation 2. It will however be very had to earn back the trust of the over 40 thousand users that the service claims to have, especially of the ones that did not have purchased AMHash cloud mining hashrate. Owners of AMHash cloud miners at Hashie can still move them to the AMHash platform, if they have not done so already. What the service has apparently done for people that have had Generation 1 miners as well as any Bitcoins in their wallets was to distribute them some Frostcoins that should result in bringing some dividends to users based on Generation 2 miner sales. We have already moved our AMHash hashrate to the AMHash platform, however our account did not get any Frostcoins for the Bitcoins we had in the wallet that are now gone. So we would currently recommend to avoid that service if you are interested in investing in cloud mining.